Here are six foods I’ve picked that may be marketed as a healthier option, but in reality on further investigation, they are doing you no good if your goal is weight or fat loss. 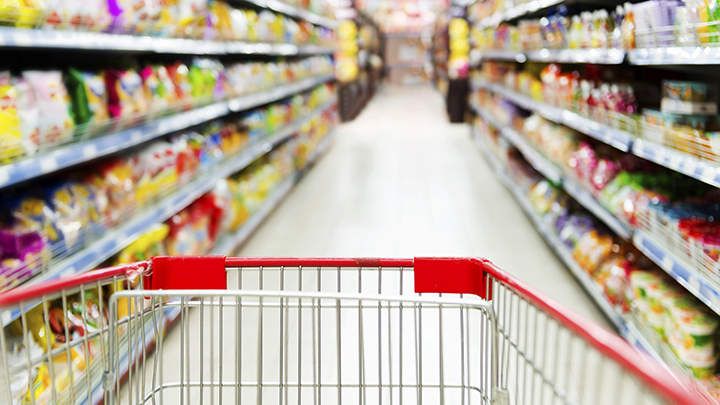 You may be able to guess what the common culprit ingredient is in these foods listed. Yes, for those of you guessing sugar then you are correct. While all these foods are high in sugar, most of them contain high fat content also. It is important to remember that food and drinks high in fat and sugars contain large amounts of calories, especially if the portions are large, which can increase your risk of obesity, which in turn could increase the risk of heart disease and type 2 diabetes. The World Health Organisation recommends a daily intake of 25g of sugar per day. For an adult of a normal body mass index (BMI), that works out to about 6 teaspoons of sugar per day. When we eat a lot of sugar, our liver metabolizes what it requires. The excess sugar consumed gets turned into fat, and stored to be metabolized at a later point, if needed. Your recommended daily fat intake will depend on gender, BMI, and daily activity efforts. So, first on the list, is flavoured yogurts. Comparing a flavoured yogurt to unsweetened yogurts you’ll see a big difference in the sugar carbohydrate content, which is specified under carbs from sugars. See the two images below which compares blueberry flavoured yogurt to an unsweetened coconut yogurt. The blueberry yogurt contains 18g sugar of 24g total carbs. Where as the unsweetened yogurt contains <1g sugar of 10g total carbs. Notice in the ingredients list, cane sugar is added to the blueberry yogurt but no added sugar is present in the unsweetened yogurt. Checking the nutrition values is highly important when shopping, take note of the amount of carbs from sugars in a product. Aim for low carbs from sugar content in all processed foods you buy. Second on the list, is granola. Many standard granola cereals contain a high amount of carbohydrates, and for the most part this is due to added refined sugars. Most granola’s also contain a mix of dried fruit and nuts which increases the fat content and overall calories. Look for a sugar free granola, where sugar is not listed on the ingredients list. Alternatively, you could easily make your own homemade granola and sweeten it with natural unrefined sugars such as maple syrup or honey. Just be cautious of portion sizes when having granola as it can be calorie dense when it contains lots of nuts and dried fruit. Third on the list, is fruit juice. Carton fruit juice is NOT the same as freshly squeezed fruit juice. Fruit juice is not often packaged and sold immediately after being squeezed from the fruit. It may sit in an oxygen-depleted holding tank for up to a year before it is put in a package and ends up in stores. Much of the flavor is lost during this storage period so manufacturers enhance their products with “flavor packs” which is not noted on the label. Inexpensive juices are even worse, as many of those are just sugar-filled water with a little fruit flavoring. The high sugar content of fruit juices is often overlooked, and people consider them to be a healthier choice than sodas, but this is not always true. 235 ml of Coca Cola contains 97 calories and 27 grams, or 7 teaspoons, of sugar. In comparison, 235ml of grape juice contains 152 calories and 36 grams, or 9.8 teaspoons, of sugar! Always opt for freshly squeezed juice rather than buying it in pre-made in a carton. Next on the list, veggie crisps. When we see veggie crisps in a supermarket we may assume that they are healthier than normal crisps. But are they really that much better for us?.. Looking at the nutritional values in comparison to regular crisps, the difference is small between the two. I compared 85 grams of both Walkers Ready Salted flavour and Eat Real Lentil chips. 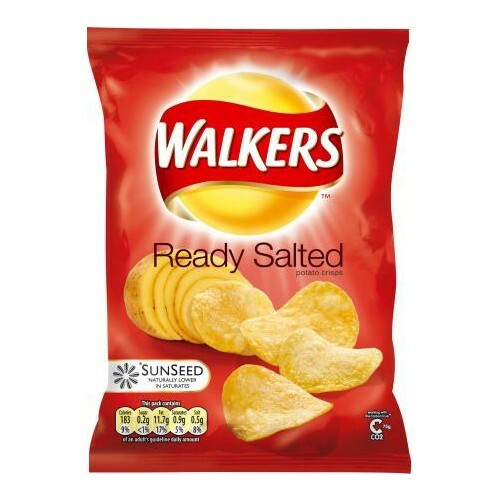 The walkers are higher in calories due to the higher fat content but over all they are very similar. Don’t be fooled by the packaging, always check the nutritional values first. Second last on the list is sorbets, sorbets raise blood sugar quickly. I used to think sorbets were the healthier treat of the summer and better than ice-cream, but according to My Fitness Pal, 1 cup of Wegmans strawberry sorbet has 50 grams of sugar! The total carbs are 54g, so 50g of that is coming purely from sugar. Natural sugars coming from the fruit are present too, but the primary sugar content comes from added sugar. A healthier alternative if you are craving something sweet, try blending some frozen bananas in a blender with some cacao powder and you will get delicious, smooth chocolate nice-cream. No added sugar, all natural and full of fibre so its deeply satisfying and extremely tasty. And finally, the last culprit on the list is low fat or reduced fat nut butters. You might not have expected this to appear on this list as nut butters are deemed to be a good health food. And they are, but only nut butters containing 1-2 ingredients, where at least 98% is made up of nuts with some added salt to flavour. Low fat nut butters however, contain a lot more ingredients and the main added ingredient you will find on most low fat products is sugar – which makes up for flavour when fat is removed. If your goal is to lose weight, I would recommend eating a good quality full fat nut butter, and to eat it in moderation maybe 3-4 tbsp per week. Disclaimer: these foods are not entirely bad for you, in moderation and if eaten with a balanced diet. I’ve chosen these foods based on a person wishing to lose weight or fat where they may be struggling to lose the last few pounds and are not sure where they are going wrong. For a regular person maintaining their current weight, eating these foods every so often is fine.